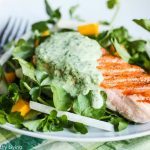 Learn how to use Greek yogurt to lighten up recipes in this roundup of 100+ sweet and savory Greek yogurt recipes. Greek yogurt can easily be used as a healthy substitute for higher fat ingredients, as well as a way to boost protein in recipes. I’ve found Greek yogurt to be a versatile ingredient as it can mimic creaminess, thicken foods, and serve to keep foods moist. No longer is Greek yogurt simply breakfast in a cup (although I do enjoy it that way too). Greek yogurt comes in non-fat, low-fat and full fat versions, so when looking to use Greek yogurt as a healthier substitute, choose non-fat or low-fat varieties. 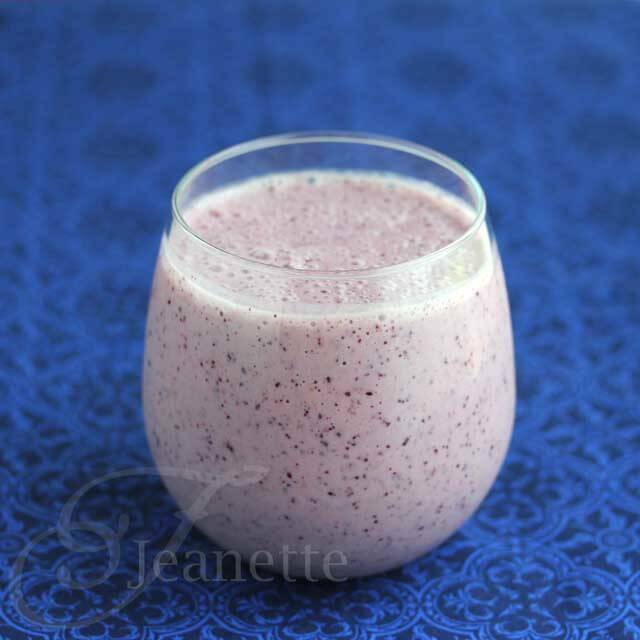 It also makes a healthy addition to smoothies and is a great way to keep lean proteins moist. 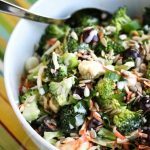 I’ve collected a huge assortment of recipes from fellow food bloggers that use Greek yogurt as a healthy substitute in some fashion for inspiration. Take a look. 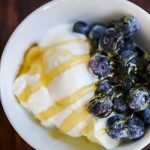 I hope you found this roundup of Greek yogurt recipes inspiring (I know I have). I’ve love to hear if you’ve used Greek yogurt as a healthy ingredient. Please share in the comments section below. Oh I love Greek yogurt so much and try to use it in everything! It’s so versatile! Aggie – I love Greek yogurt too – it’s a great substitute for so many different ingredients. I need all these recipes in a book! Do you have one? Or can you recommend one? Chris, I don’t have a book yet but hoping to work on a short e-book soon. 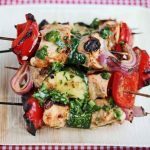 Fabulous recipe roundup, Jeanette! Wow! 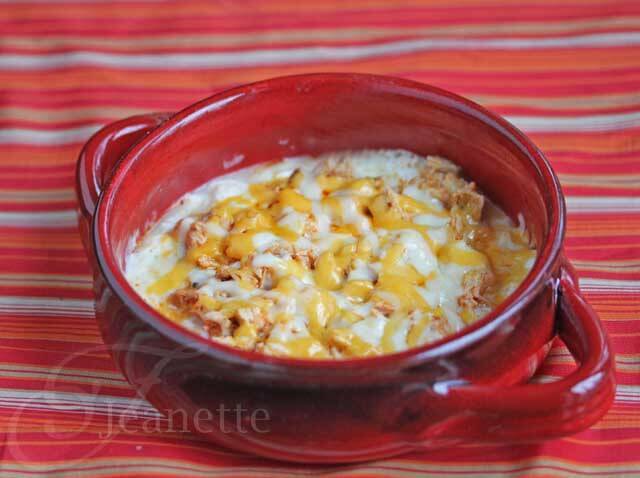 So many tasty recipes calling out my name…from your Buffalo Chicken Dip to that super scrumptious looking Creamy Smoked Gouda Macaroni and Cheese! Yum. Plenty of desserts to top it all off, too. Thanks ever so much for sharing, girl! Pinning! 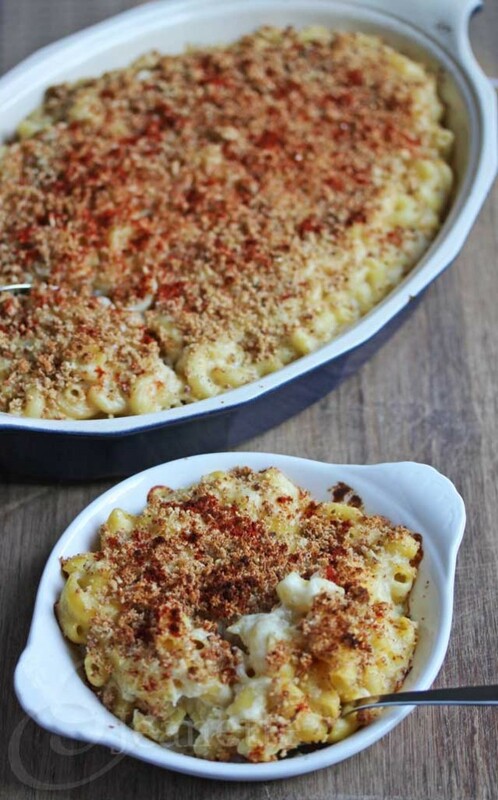 Thanks Stacy – I think you’d really like the Buffalo Chicken Dip and the Mac and Cheese – great for football Sundays! Wow, what an incredible round-up! I love Greek yogurt, especially how versatile it is. 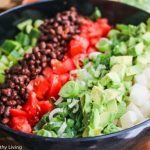 There are so many on this list that I’m now dying to make! Faith – it was putting this round-up together to see all the different ways everyone uses Greek yogurt. Wow, great round-up, and thanks for including me! Thanks Kalyn – there are so many different ways to include Greek yogurt in cooking/baking! Thanks! For tips and ideas that can substitute greek yogurt. 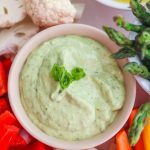 Fantastic Greek Yogurt recipe round-up Jeanette & thanks so much for including my Triple Pepper & Kale dip! Last night I made coleslaw (along w/ your crockpot BBQ chicken-yum) & I made a dressing of 1/3 mayo w/ 2/3 Greek yogurt. This morning I had Greek Yogurt w/ Breakfast Bananas Foster. 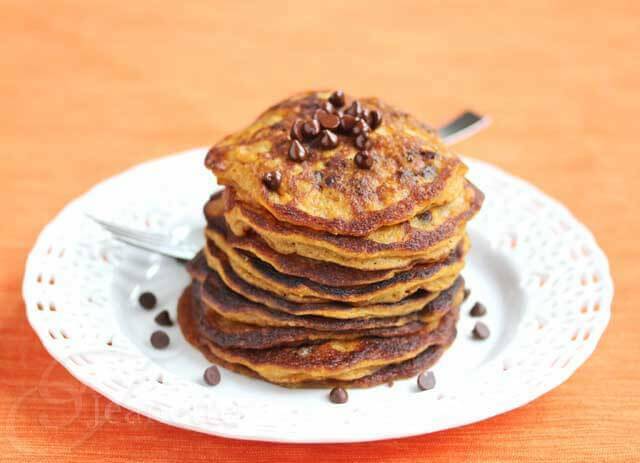 And, this weekend I am making your Pumpkin Pancakes w/ Greek Yogurt-super yum!! EA – that all sounds fantastic! I’ve been using Greek yogurt left and right, it’s so versatile and I love the bump in nutrition that it provides. This is such a wonderful round-up, Jeanette. I love Greek yogurt and use it in all kinds of things. But there are a bunch of ideas here that I haven’t thought of. Thanks for sharing them with us! Thanks Christine – there are so many great ideas – I can’t wait to try them myself! Love this! I know that replacing yogurt is healthier, but I’m never really sure how or what it’s good to replace it in. This is very helpful. And thank you for featuring my Greek Yogurt Fruit Dip! Thanks Brandie – there are so many different ways to use Greek yogurt – your fruit dip sounds fantastic! Wow what a fabulous round-up! 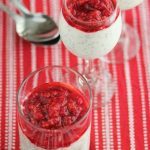 I love using yogurt in recipes so this is a great resource. Thanks Julia – Greek yogurt is an easy substitute for so many recipes. I’m looking forward to trying more ways to use it as an ingredient. Alyssa – it was fun seeing all the different ways everyone uses Greek yogurt in their cooking/baking! This is an amazing roundup Jeanette! I’m pinning this for later because if I ever need to find a yogurt recipe, this is certainly the place to look! Thanks Caroline – I’m glad you found this helpful! What a great roundup! How will I ever choose? 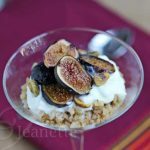 Thank you for this Jeanette, what an awesome round up 🙂 love greek yoghurt in desserts recipes. Thanks Nadine – Greek yogurt is a great substitute in desserts! 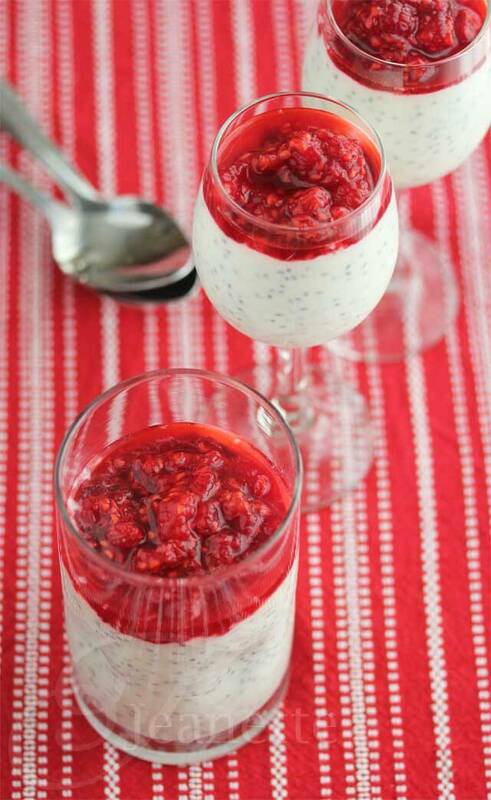 Thanks Katie – love seeing all the ways everyone uses Greek yogurt to make recipes healthier! Running a bit late with my Thank You but WOW what a great roundup! 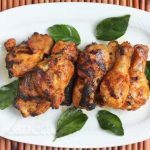 Sharing via Hungry Goddess! THANK YOU! 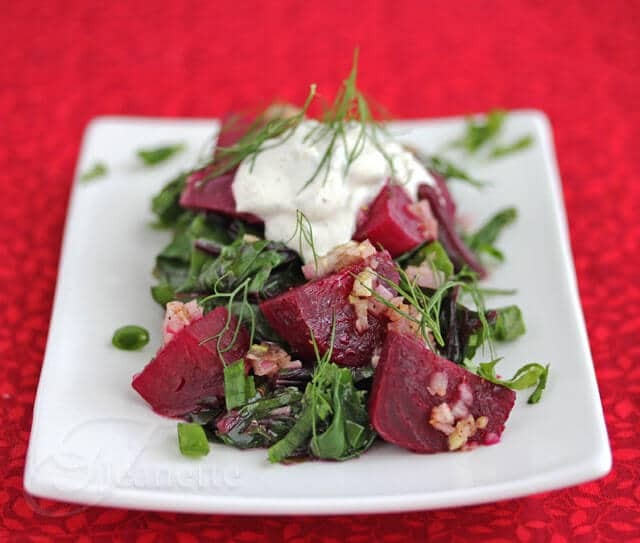 Hi Kimberly – thanks for your note – happy cooking with Greek yogurt! This is fabulous! Thank you! I’m going to try the yogurt/egg combo in my penne vodka tonight. 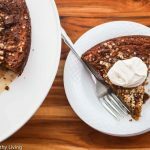 How can I make Banana Bread with Greek yogurt?